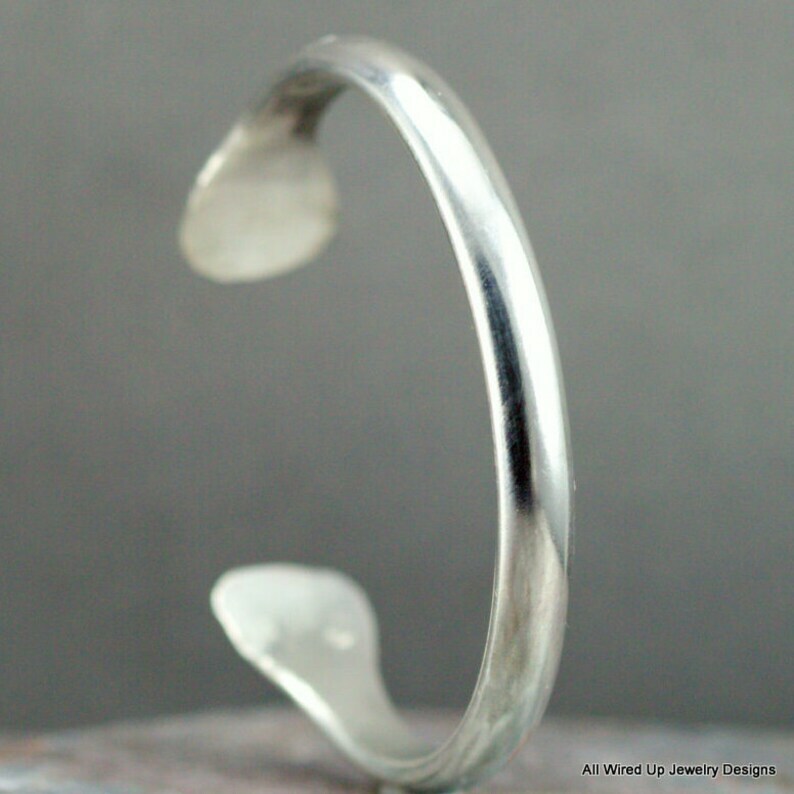 An elegant 6.5 mm wide solid sterling cuff bracelet you will never want to take off. I have forged this classic silver cuff bracelet with wide lotus petal shape at the back for comfort and to gently hug the wrist. This classic sterling cuff can be worn snug on the wrist or a bit loose to slide and catch the light with it's mirror polish. Cuff is shaped to a smooth oval to conform to your wrist. Cuff can be hammered or finished matte (not shiny) also. Small - 5 inches, M- 5.5 inches, Large 6 inches, XL 6.5 inches. Subtract 1 inch from your wrist measurement taken with a soft measuring tape, not tight, to select your size, less if you like a looser fit. Finish: Smooth Polished, hammered is available on request and cuff can be finished matte or oxidized at no additional charge. Your new cuff will arrive beautifully packaged in a drawstring satin pouch, enclosed in an eco-friendly gift box - ready to gift or as a perfect treat for yourself. I make everything from raw materials starting with sheet silver or wire. Your new jewelry will be individually hand made just for you with top quality materials and 100% recycled sustainable metals. Due to the handmade process, each piece will be unique and vary slightly from the photo; yours will be just as pretty, new and never worn.